Working in partnership with hundreds of other Christian and relief organisations, Mission Aviation Fellowship enables practical help, physical healing, and spiritual hope to be delivered to many of the most remote and inaccessible communities on the planet. In Guatemala, please pray those attending training programmes for pastors in remote areas will be equipped and encouraged for ministry. Pray also for engineers and support staff who maintain the Cessna 206 aircraft. Give thanks for their skills, experience and Christian witness. In early June, the Volcan de Fuego - one of Guatemala’s active volcanos - erupted spitting ash, volcanic sand, and rock into several surrounding communities. Hundreds were evacuated and authorities advised precaution. 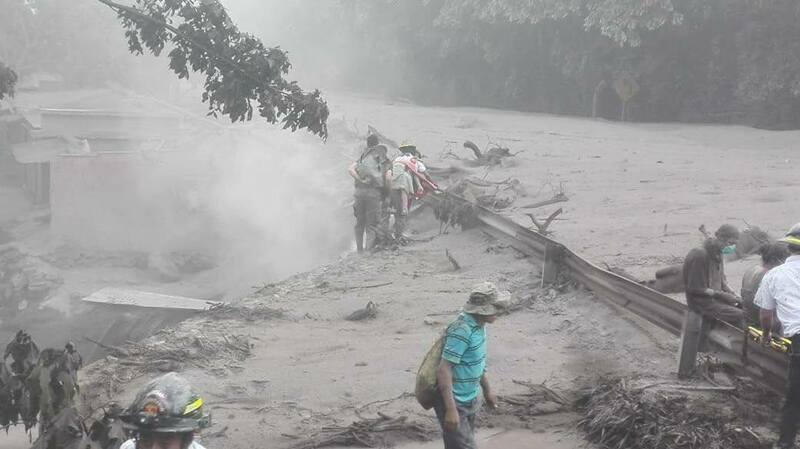 Later, another large explosion spewed lava, toxic gas, rocks and smoke into the State of Escuintla. Ninety-nine people have been confirmed dead, 12,000 people have been evacuated, and only 3,000 of those have been placed in temporary shelters. More than 1.7 million people have been affected. There is an urgent need for shelters, food, and clothing. Please pray that the Lord will use his people to provide aid in this disaster and love to those who are hurting in the aftermath. Potters House has been changing the lives of those in the poor communities of Guatemala City for 30 years. It has recently expanded its ministry to the city of Chiquimula to the east of Guatemala City. Here they are reaching new communities with the gospel and bringing lasting change through community development. Over 3,000 people in Chiquimula have benefited from the distribution of water filters and cookers as well as classroom renovations and bible school sessions. Pray for the Chiquimula communities, that they can find a new hope for a better quality of life and a brighter future. Pray that through learning about the gospel, they will accept Jesus and experience His light in their lives. In March, 41 teenage girls died and 15 others were seriously injured by a huge fire at large children’s care home on the outskirts of Guatemala City. Hundreds of vulnerable people were made homeless by the blaze. 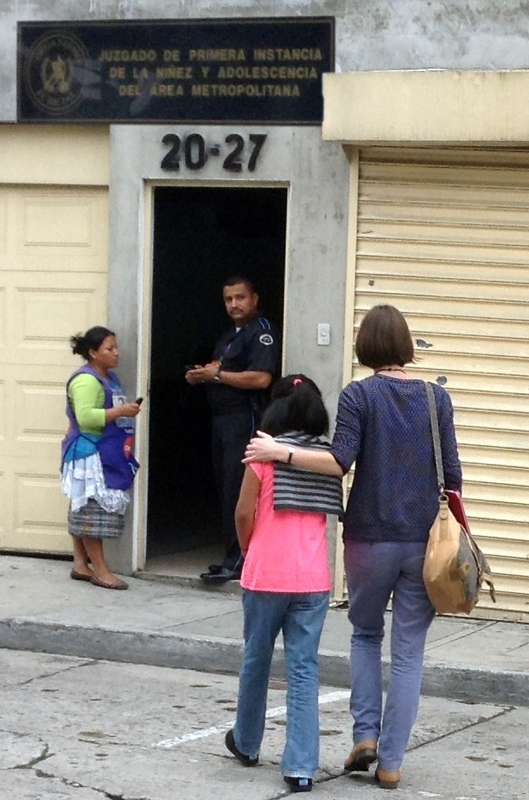 Viva Guatemala was invited to respond to help children left homeless by the fire, in partnership with UNICEF Guatemala. Our partner network of churches has provided emergency food and clothes, and rented two homes for 24 children with disabilities to move in to. It plans to provide psychological and educational support for children and to work closely with government shelters to ensure better care for children. Pray that the children affected by this tragedy would get the holistic care they need, and that Viva Guatemala would remain Christ-centred for the work ahead, and find the people and resources needed. Pray for wise leadership from government officials. Over 13,000 people live next to the biggest landfill site in Guatemala with more than half of these being children. Thousands resort to scavenging on the dump hoping they will find something of value to sell, to support their families. Medical supplies, including used syringes, toxins emitted from discarded gas tanks, and the other biohazardous materials all contribute to the dangers of the landfill and add to the already poor sanitation conditions for the communities living next to it. The Potters House ministry is addressing the local needs through education, community development and health and nutrition, with the aim of breaking the cycle of poverty within this community. 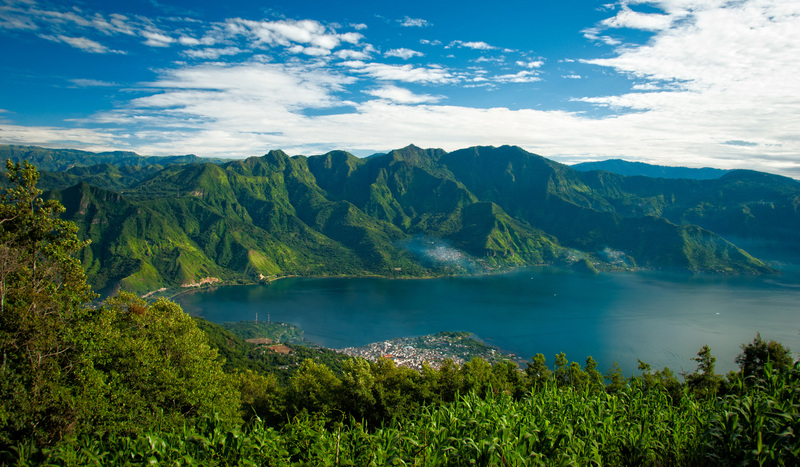 Please pray for this community in Guatemala, for protection, health and lasting change. Western medical elective students join Guatemalan doctors, and then drive to rural villages and set up mobile clinics. As Latin Link Strider Emily Thiede found out: ‘The doctors do their best to diagnose and counsel without the luxury of further tests, then send the patients to our little pharmacy, which consists of a range of basic medication. The volunteers all fundraised at home, which means that our patients can get their medication for free – a real luxury for Guatemalans!’ Pray that the doctors will diagnose correctly despite the limitations, for funds to pay for the medications, and for safety for the medical teams as they travel around one of the most dangerous countries in South and Central America. A group of North American students and three Guatemalan doctors set off bright and early every morning in a bus to one of the villages (up to one-and-a-half hours away) and set up their mobile clinic. The doctors will do their best to diagnose and counsel without the luxury of further tests, then send the patients to a little pharmacy, which consists of a range of basic medication. The volunteers all fundraised at home which means that the patients can get their medication for free; a real luxury for Guatemalans! Pray that this medical care will have a continued impact on the community, bringing healing to many and sharing Gods love with them. Sexual abuse is a huge problem across Latin America. One place trying to provide some solutions is the Oasis Centre in Guatemala. It’s a ministry for girls who’ve been sexually abused. The girls are mainly teenagers, can be as young as 12, and are often pregnant when they arrive. Oasis provides a safe home, long-term psychological support, access to healthcare and education, and legal and spiritual support. Latin Link works closely with Oasis, sending workers such as Kate to help the girls. Pray for the Oasis girls as they step out of the shadows they have lived in, and for the workers as they seek justice, healing and reconciliation for the girls. Domestic abuse and violence against children and young people is prevalent in Central America with thousands killed by family members each year or forced onto the streets. It’s so commonplace that most people turn a blind eye to what’s going on behind closed doors. Viva’s partner networks in six capital cities across the region, including Guatemala City, are now collaborating on a new programme which aims to lower the rate of violence against children and young people through the active participation of faith communities as agents of transformation. Pray that, through this initiative in Guatemala and beyond, parents will become positive role models, families will be strengthened and whole cities will be transformed. Latin Link Guatemala have held their first commissioning service. Three Guatemalan missionaries, Pamela, Emily and Elisa, have all answered God’s call on their lives and have taken the scary step of using their skills, interests and professions to serve God in another country and culture. They are preparing to serve God in the UK and in Ecuador. They have already overcome a number of obstacles to get this far. Pray for them as they discover more of what God has for them. 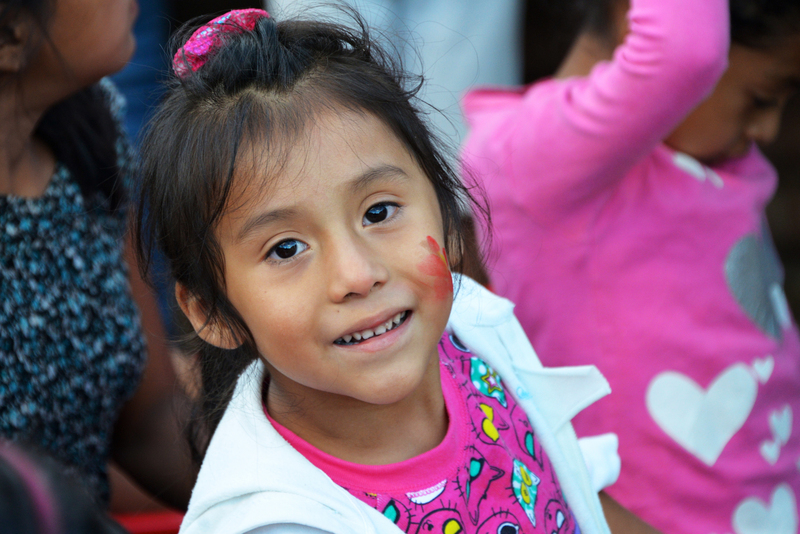 In November 2013, OM Guatemala held free medical clinics in two locations during three days and attended to over 300 adults and children. Although they could only offer basic medical services, the team still saw God work miracles in the lives of people who came to the clinics. One such person was a woman with three children, one of them a 16-day-old baby, who came to get medical attention. She was in a very bad situation and could not even afford food for her children. The team were unable to get the medicine she needed so they gave her what they could, along with a little money to buy food, and told her to come back the next day for a follow up. The next day, they received a small donation of various medicines. Amongst them was a small amount of the exact medicine they had been looking for to give to the woman. Praise God for His wonderful provision in this way. La Linea (The Line) is in Zone One of Guatemala City where a railway line used to be. Now it is abandoned, along with all the trains, and filled with dirt and just some metal in the road. The purpose of La Linea is no longer trains, but prostitution. It is estimated that at least 300 woman ‘work’ there. In other parts of Zone One groups of men live in very poor conditions spending most of their time drinking and fighting. Teams of Christians are working with both groups of people - pray that those living in such difficult situations would experience the love of Christ. In November 2012 Guatemala was hit by its most powerful earthquake in more than 30 years, claiming the lives of over 130 people and destroying thousands of homes. In the aftermath of the quake, AMI San Lucas worked quickly to provide vital aid, distributing food and hygiene supplies, as well as helping the communities affected to construct new homes. Praise God for every individual and family who received food, water and shelter, and pray for them as they continue to rebuild their lives. Please pray for protection for the people of Guatemala and Central America, and for the organisations working to help them to reduce their vulnerability to disasters. 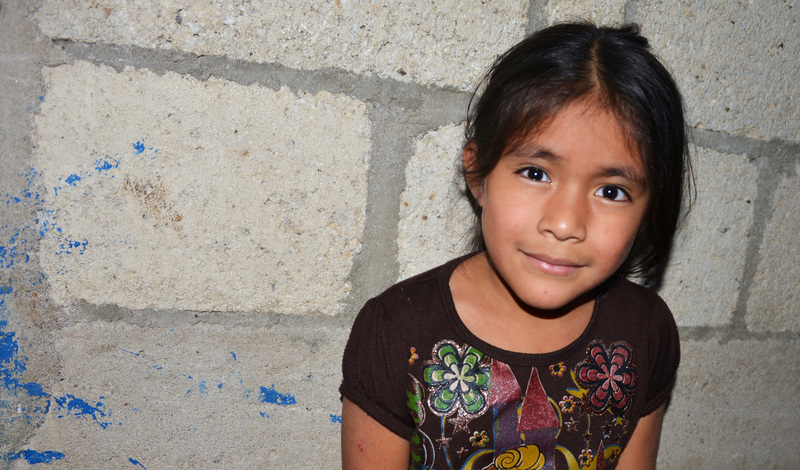 An alarming 600,000 children in Guatemala are without any legal identity. Although registration itself is free of charge, many families still have to pay to travel long distances to registration centres. For poor rural families this is, unsurprisingly, low on the list of priorities. Not only does having no legal identity mean that children struggle to get access to education or healthcare, it also puts them at increased risk of being targeted for child prostitution, forced labour and involvement in drug cartels. Pray for the churches and childcare projects that are seeking to serve the country’s ‘invisible’ children in this way. Pray too that those responsible for the registration process would seek to make it as easy as possible.